Centro Habana, Havana View of Centro Habana towards the Straits of Florida. 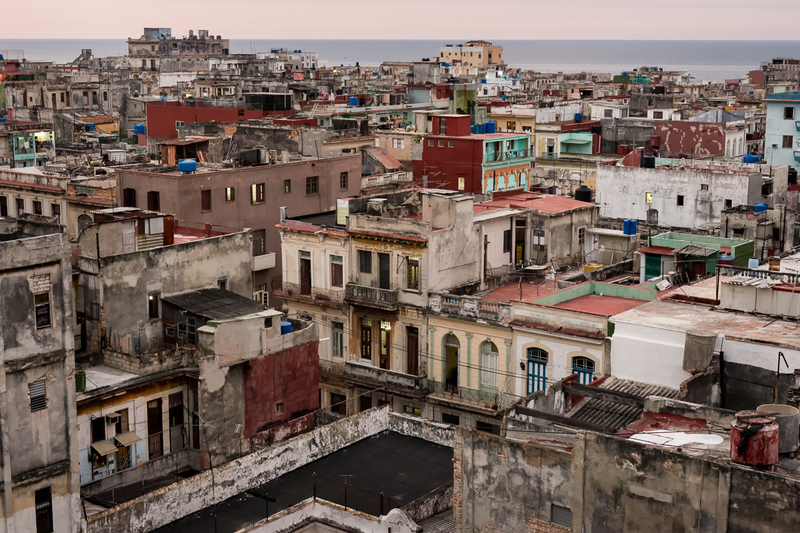 Centro is the most densely populated neighborhood in the city of Havana. The city's population of over 2 million is still growing. Cuban migrants are coming from poorer rural parts of the island, particular the eastern provinces, trying to claim part of the riches brought by the tourists. Many come without obtaining the permit required to move to another province.